Let the holiday season begin!!! Time for being with the family, starting or carrying on traditions and of course EATING!!! With Thanksgiving right around the corner, I thought I could give some tips on hosting a fabulous Thanksgiving dinner party. Typically when planning a party you want to think about ALL the different age levels that will be present and provide fun, food, drinks, and activities for them all. You want to make everyone feel comfortable and want to come back to hang out with you. 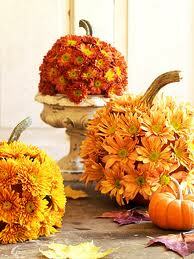 Decor/mood setting – Since it is Thanksgiving your decor should incorporate fall colors, leaves, pumpkins. Depending on how playful or classic you are as a person you could include pilgrims, native Americans, turkeys, or even the Mayflower. I always like to have candles lit for ambiance. 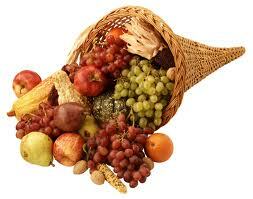 Don’t combine too many scents because you will have the wonderful smelling food to compete with. You might consider using vanilla or unscented near the kitchen or where you are serving food and use the scented candles in the bathroom. It is always nice to have soft music playing. You could play some jazz or classic standards. Food – Always remember to have festive drinks for all age levels in attendance. For the non-alcohol drinkers you can have spiced cider, apple cider, cranberry spritzers. For the alcohol drinkers – you can offer the same choices and just add vodka. Depending on how quickly once people arrive for the party you might want to have some appetizers. Keep them light because you want people to have room to enjoy the dinner. The main entree of course is the center of attention. Make sure you do your prep work during the week leading up to the day. If possible have you family/friends over earlier in the week for a dinner prep party. People typically look forward to the old standbys and can be disappointed if they aren’t found on the table. Some of the old standbys; turkey, stuffing, gravy, cranberry sauce, mashed potatoes, green beans, rolls, pie can be presented in the normal fashion but also you could do one or two in a fancy non-traditional way. For example you could have a small dish of the green bean casserole and then a small dish of green beans sauteed in olive oil with almonds and cherry tomatoes. You could have your children or family members make these and use them for place cards at the dinner table. You could have a cornucopia on the table for a centerpiece or you could use it on the appetizer table and they could eat the items from the cornucopia. One tradition that you could start is having your guest write down on a rock or a fall leaf (paper) one thing they are thankful for. If you are using the rocks, the rocks could be placed in a vase/vessel and used as a table decoration. If you are using a fall leaf, you could have a bare tree drawn and your guest could fill your tree with the items they are thankful for. 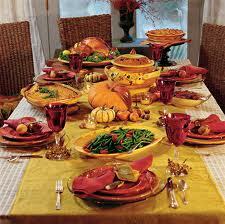 These are just a few tips to get you started hosting a fabulous Thanksgiving dinner. 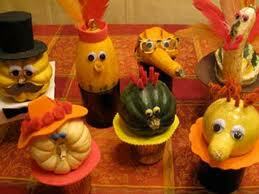 Many people love the Thanksgiving dinner and overeat. Try to pace yourself and have small servings. You can incorporate a family walk after dinner to help work off the dinner and make room for dessert! Have fun with the dinner and the preparations. Remember to include something for everyone that is in attendance. You don’t want anyone feeling uncomfortable.